A lot of our clients who use arbitrage strategies or who want to use them have been asking us if there’s a way to test a broker without submitting real orders to that broker. So we’ve decided to create a system that will allow the trader to test brokers. What’s more, it will let you, the trader, find your own brokers. This is very important because whenever we recommend a broker to our clients, everyone starts trading with that broker, and soon no one can use arbitrage strategies with that broker. The broker might be okay for half a year or a year, but sooner or later, because of the large inflow of arbitrage traders, and especially afterwards that many customers start testing with Latency Arbitrage instead of Lock Arbitrage or Hedge Arbitrage, the broker will change trading terms or introduce plugins, and arbitrage strategies will stop working. If you want to use arbitrage with a broker for a long period of time, you should find your own broker. So it’s worth it to spend some time looking for the right broker so that you can work with that broker rather than constantly move from one broker to another. We’ve developed Forex Broker Arbitrage Test KIT. Obviously, it won’t give you a definitive answer as to whether or not a given broker will work, but it will be able to tell you with a high degree of certainty if the broker will be a potentially suitable one for our Lock Arbitrage Software or Hedge Arbitrage Software. 4. 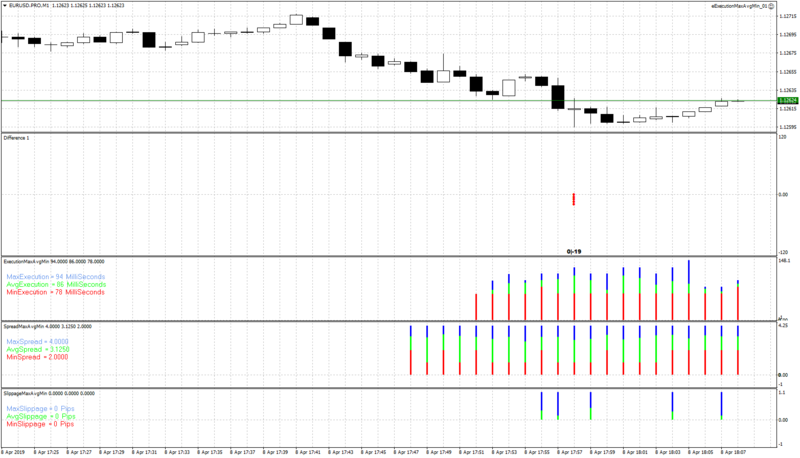 Slippage Indicator - shows slippage for each M1 candle. 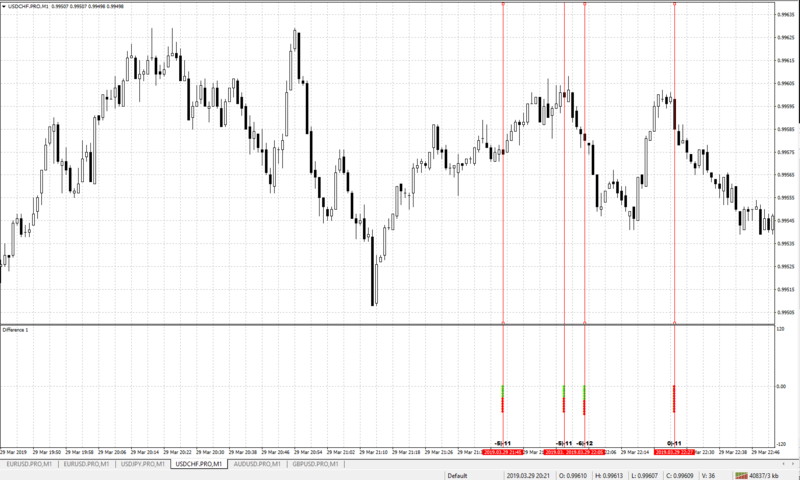 Indicator calculate slippage based on execution time and price. Let’s go over all of them. The advisors you just add to 2 charts with different magic numbers. For example, you can add one of the advisors to the same chart where the indicators are installed; this advisor will modify orders on each tick and calculate the average execution time as well as the prevailing execution time, the current execution time. The other advisor can be added to a different chart, which is what we did here. It will calculate slippage. So what does Arbitrage Situations Detector indicator do? It plots the difference on each candlestick by using these red dots that you see, and the exact number of red dots expresses the amount of the difference on the candlestick. First, it does that in green. For example, we had a difference of 4 points initially. This difference of 4 points was based on the minimum difference value that we specified, which is 15. At a value of 15, the indicator did not react in any way. But as the maximum went to 19, there was a difference of 4 points, and it got plotted right here, with the red dots. So everything that exceeds 15 will be plotted. If the difference is on the buy side, then the red dots will be plotted upwards; if it’s on the sell side, then the red dots will be drawn downwards. Sometimes you can have differences on both sides, which is what happened with this candlestick, and in that case, we ignore the signal. This simply means that there was high volatility. Now, it’s not enough to determine that there is an arbitrage situation; we also need to determine the execution time, slippage, and spread at that point. To that end, we just create a line or this indicator signal, based on the dots, and we can see the execution time. To use this as our hypothetical entry point, the execution time was 78 milliseconds, which is decent. The spread wasn’t high either, so our stop-loss wouldn’t have been knocked off, if we had used a small stop loss; and the next bar shows the slippage. If you have the execution time and you know the ticks, the slippage on a market order placed at that time can be determined. 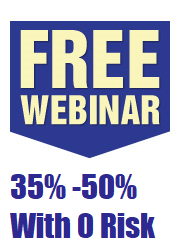 This system should you help better analyze your brokers, find a good broker, and work with that broker for a long time. I trust that our indicators will be of help to you, and if you have any questions, let us know. Thank you for joining us.